Mark Maslin FRGS, FRSA is a Professor of Climatology at University College London. He is a Royal Society Industrial Fellowship, Executive Director of Rezatec Ltd and Director of The London NERC Doctoral Training Partnership. He is science advisor to the Global Cool Foundation and the Sopria-Steria Group and a member of Cheltenham Science Festival Advisory Committee. Maslin is a leading scientist with particular expertise in past global and regional climatic change and has publish over 165 papers in journals such as Science, Nature, and The Lancet. He has been PI or Co-I on grants worth over £45 million (including 30 NERC, 2 EPSRC, 2 DIFD, 2 Carbon Trust, 2 ESA, 3 Technology Strategy Board, Royal Society and DECC). His areas of scientific expertise include causes of past and future global climate change and its effects on the global carbon cycle, biodiversity, rainforests and human evolution. He also works on monitoring land carbon sinks using remote sensing and ecological models and international and national climate change policies. Professor Maslin has presented over 45 public talks over the last three years including UK Space conference, Oxford, Cambridge, RGS, Tate Modern, Royal Society of Medicine, Fink Club, Frontline Club, British Museum, Natural History Museum, Goldman Sachs, the Norwegian Government, UNFCCC COP and the WTO. 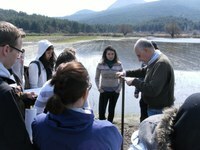 He has supervised 10 Research fellows, 14 PhD students and over 20 MSc students. He has also have written 8 popular books, over 30 popular articles (e.g., for New Scientist, The Times, Independent and Guardian), appeared on radio and television (including Timeteam, Newsnight, Dispatches, Horizon, The Today Programme, Material World, BBC News, Channel 5 News, and Sky News. His popular book “Climate Change: A Very Short Introduction” by Oxford University Press is now in its third edition and has sold over 40,000 copies. He has subsequently published another title “Climate: A Very Short Introduction” in the same series. 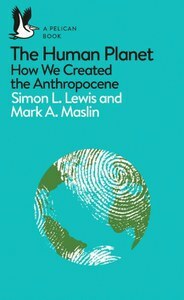 Maslin was also a co-author of the seminal Lancet report ‘Managing the health effects of climate change’ and the Lancet review paper on the health links between Population, Development and Climate Change. 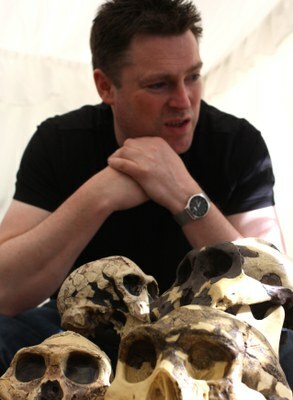 He was included in Who’s Who for the first time in 2009 and was granted a Royal Society Wolfson Research Merit Award for the study of early human evolution in East Africa in 2011. PhD The study of the palaeoceanography of the N.E. Atlantic during Pleistocene (Supervisors: Professor Sir N. J. Shackleton FRS and Professor Ellen Thomas). with Geology & Chemistry at honours level. Humans are rather weak when compared with many other animals. We are not particular fast and have no natural weapons. Yet Homo sapiens currently number nearly 7.5 billion and are set to rise to nearly 10 billion by the middle of this century. We have influenced almost every part of the Earth system and as a consequence are changing the global environmental and evolutionary trajectory of the Earth. So how did we become the worlds apex predator and take over the planet? Fundamental to our success is our intelligence, not only individually but more importantly collectively. But why did evolution favour the brainy ape? Given the calorific cost of running our large brains, not to mention the difficulties posed for childbirth, this bizarre adaptation must have given our ancestors a considerable advantage. 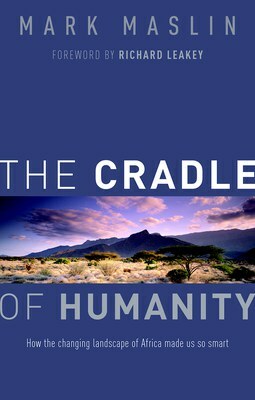 In this book Mark Maslin brings together the latest insights from hominin fossils and combines them with evidence of the changing landscape of the East African Rift Valley to show how all these factors led to selection pressures that favoured our ultrasocial brains. Astronomy, geology, climate, and landscape all had a part to play in making East Africa the cradle of humanity and allowing us to dominate the planet. A powerful, gripping account of how the dynamic earth shaped human evolution… with impressive ease, Maslin packs a tremendous amount of knowledge into a flowing narrative, making the point that special conditions for a number of species of tropical apes on the African continent eventually turned out to be our luck...A tour de force through Earth’s history and a timely reminder of just how lucky we are to be here at all. (Professor Peter C. Kjærgaard, Director of the Natural History Museum of Denmark). Watts N., et al., (including M.A. Maslin) The 2018 report of the Lancet Countdown on health and climate change: shaping the health of nations for centuries to come, The Lancet, 392, Issue 10163, p2479-2514 (2018). Georgeson, L., M. Poessinouw, and M. Maslin.“Assessing the definition and measurement of the global green economy” Geo: Geography and Environment, ISSN 2054-4049 doi: 10.1002/geo2.36 (2017). Georgeson, L., M. Maslin and M. Poessinouw.“Global disparities in the supply of weather and climate services” Science Advances e1602632 (2017). Watts N. et al. (including M.A Maslin) “The Lancet Countdown on health and climate change: from 25 years of inaction to a global transformation for public health” The Lancet 389, 1151–64, http://dx.doi.org/10.1016/S0140-6736(17)32464-9 (2017). Georgeson, L., M. Maslin and M. Poessinouw.“Clean up energy innovation: Invited Commentary” Nature, 539, 27-30 (2016). Georgeson, L., M. Maslin, M. Poessinouw, and S. Howard.“Global megacities differing adaption responses to climate change” Nature Climate Change, online DOI: 10.1038/NCLIMATE2944 (2016). VeldhuisD., P. C. Kjærgaard, & M. Maslin “Human Evolution: Theories and Progress”, In: C. Smith (Ed.) Encyclopedia of Global Archaeology, pp. 3520-3532. New York: Springer (2014). Catt, J. and M.A. Maslin, “Chapter 31: The Prehistoric Human Time Scale” (Ed. F. Gradstein et al.) In The Geological Time Scale, 1011-1032 (2012). Owen, M., S. Day, D. Long and M.A Maslin, Investigations on the Peach 4 debrite, a late Pleistocene mass movement on the Northwest British continental margin. In Submarine Mass Movement and their consequences (editors Mosher et al.) Springer, p 301-311 (2010). Dickson A., M. J Leng; M.A Maslin, H. J. Sloane,J. Green, J. A. Bendle, E. L. McClymont, R. D. Pancost. Atlantic overturning circulation and Agulhas Leakage influences on South East Atlantic upper ocean hydrography during Marine Isotope Stage 11 Paleoceanography Vol. 25, No. 3, PA3208 (2010). Trauth, M., and M.A. Maslin, “Comments on "Diatomaceous sediments and environmental change in the Pleistocene Olorgesailie Formation, southern Kenya Rift" by R. Bernhart Owen, Richard Potts, Anna K. Behrensmeyer and Peter Ditchfield, Palaeogeography, Palaeoclimatology, Palaeoecology, 282, 145-146 (2009). Dickson, A.J., Leng, M.J. & Maslin, M.A., Mid-depth South Atlantic ocean circulation and chemical stratification during MIS-10 to 12: implications for atmospheric CO2. 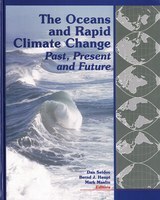 Climate of the Past Discussions 4:667-695 (2008). Swann GEA, Leng MJ, Sloane HJ, Maslin MA. Isotope offsets in marine diatom d18O over the last 200 ka. Journal of Quaternary Science 23: 389–400 (2008). Swann, G.E.A., Leng, M.J., Sloane, H.J., Maslin, M.A. and Onodera, J., Diatom oxygen isotopes: evidence of a species effect in the sediment record. Geochemistry Geophysics Geosystems, (Q06012):1-10 (2007). Maslin, M.A., and B. Christensen, “Tectonics, orbital forcing, global climate change, and human evolution in Africa” Journal of Human Evolution Volume 53, Issue 5, p.443-464. Trauth, M.H., M.A. Maslin, A. Deino, A., Bergner, M. Strecker “High and low latitude controls and East African climate and early human evolution" Journal of Human Evolution, Volume 53, Issue 5, p.475-486. Maslin M.A., Research skewed by stress on highest-impact journals, Nature, 440, 408 (2006). Boot, C.S. V.J. Ettwein, M.A. Maslin, C.E. Weyhenmeyer, P.D. Pancost, “A 35,000 years record of terrigenous and marine lipids in Amazon Fan sediments, Organic Geochemistry, 37, 208-219 (2006). Maslin, M.A., and S. A. des Clers, “Enlightenment in four dimensions” Transactions of the Institute of British Geographers, 30, 3, 267-268 (2005). Haug, G.H., A. Ganopolski, D.M. Sigman, A. Rosell-Mele, G.E.A. Swann, R. Tiedemann, S. Jaccard, J. Bollmann, M.A. Maslin, M.J. Leng, and G. Eglinton “North Pacific seasonality and the glaciation of North America 2.7 million years ago” Nature, 433, 821-825 (2005). Maslin, M.A., and G., Swann, “Isotopes in Marine Sediments” In Isotopes in Palaeoenvironmnetal Research (M. Leng editor) Springer, Dordrecht, The Netherlands, 227-290 (2005). Cowling, S., R.A. Betts, P.M. Cox, V.J. Ettwein, C.D. Jones, M.A. Maslin and S. Spall. “Contrasting Simulated Past and Future Responses of the Amazon Rainforest to Atmospheric Change” Philosophical Transaction of the Royal Society: Biological Sciences, Theme Issue 'Tropical forests and global atmospheric change', Volume 359, Number 1443, 539 – 547, DOI: 10.1098/rstb.2003.1427 (2004). Ridgwell, A., M.A. Maslin, A.J. Watson, “Reduced effectiveness of terrestrial carbon sequestration due to an antagonistic response induced in ocean productivity” Geophys. Res. Lett., 29(6), [10.1029/2001GL014304] (2002). Christensen, B.A., J. Kalbas, M.A. Maslin, R.W. Murray, "Deep water connections between the hemispheres during the intensification of Northern Hemisphere Glaciation: Evidence from ODP Leg 175 Site 1085" Marine Geology, 180, 117-131 (2002). Cowling, S., M.A. Maslin and M. Sykes "Paleovegetation simulations of lowland Amazonia and implications for Neotropical allopatry and speciation" Quaternary Research 55, 140-149 (2001). Ettwein, V., C. Stickley, M.A. Maslin, E. Laurie, L. Vidal, and M. Brownless "Chapter 19. Fluctuations in productivity and upwelling intensity at Site 1083 during the intensification of Northern Hemisphere Glaciation (2.4-2.7 Ma)" Proc. ODP Leg 175 Scientific Results Volume 1-26 [Online: http://www.opd.tamu.edu/publications/175_SR/VOLUME/CHAPTERS SR175_19] (2001). Maslin, M.A., C. Stickley, and V. Ettwein (2001) “Paleo-oceanography: Holocene Climate variability” In Encyclopedia of Ocean Sciences (Ed: John Steele, Stephen Thorpe and Karl Turekian) Academic Press, p1210-1217. Haberle, S. and M.A. Maslin "Late Quaternary Vegetation and climate changes in the Amazon basin based on a 50,000 year pollen record from the Amazon Fan ODP Site 932" Quaternary Research, 51, 27-38 (1999). Chapman, M., and M.A. Maslin "Low latitude forcing of meridional temperature and salinity gradients in the North Atlantic and the growth of glacial ice sheets" Geology, 27. 875-878 (1999). Burns, S. and M.A. Maslin "Composition and circulation of bottom water in the western Atlantic Ocean during the last glacial, based on pore-water analyses from the Amazon Fan" Geology, 27, 1011-1014 (1999). Berger, W.H. and 26 co-authors (including M.A. Maslin) The early Matuyama diatom maximum of SW Africa, Benguela Current system (ODP Leg 175), Marine Geology, 161, 93-113. Maslin M.A., X-S. Li, M-F. Loutre and A. Berger "The contribution of orbital forcing to the progressive intensification of Northern Hemisphere Glaciation" Quaternary Science Review, 17, No. 4-5, 411-426 (1998). Maslin M.A., M. Sarnthein, J-J. Knaak, P. Grootes, and C. Tzedakis "Intra-Interglacial cold events: An Eemian-Holocene comparison" In: Cramp, A., MacLeod, C.J., Lee, S. and Jones, E.J.W. (eds) Geological Evolution of Ocean Basins: Results from the Ocean Drilling Program, Geological Society, London, Special Publications, 131, 91-99 (1998). Maslin M.A. "Equatorial Wastern Atlantic Ocean circulation changes linked to the Heinrich events: deep-sea sediment evidence from the Amazon Fan." In: Cramp, A., MacLeod, C.J., Lee, S. and Jones, E.J.W. (eds) Geological Evolution of Ocean Basins: Results from the Ocean Drilling Program. Geological Society, London, Special Publications, 131, 111-127 (1998). Maslin, M.A. and N. Mikkelsen, "Reconstruction of the sedimentary history of the late Quaternary Amazon Fan complex" In: Cramp, A., MacLeod, C.J., Lee, S. and Jones, E.J.W. (eds) Geological Evolution of Ocean Basins: Results from the Ocean Drilling Program. Geological Society, London, Special Publications, 131, 100-110 (1998). Li, X-S., A. Berger, M-F. Loutre, M.A.Maslin, G.H. Haug and R. Tiedemann "Simulating late Pliocene Northern Hemisphere climate with the LLN 2-D model" Geophysical Research Letters, 25, 915-918 (1998). Pufahl, P., M.A.Maslin, and the Leg 175 Shipboard Sedimentologists. "Synthesis of the ODP Leg 175 Lithostratigraphy" In Proc. ODP, Init. Repts., Leg 175 (1998), 533-542. Vidal, L. and the Leg 175 Shipboard Sedimentologists (including M.A. Maslin). "Regional and stratigraphic patterns in color reflectance of sediments from Leg 175" In Proc. ODP, Init. Repts., Leg 175, 542-552 (1998). Berger, W., G. Wefer, C. Richter, et al. (including M.A. Maslin) (1998)Proc. ODP, Init. Repts., Leg 175, Benguela Current: College Station, TX (ODP), pp1560. Maslin, M.A., E. Thomas, N.J. Shackleton, M.A. Hall and D. Seidov "Glacial North East Atlantic surface water pCO2: productivity and deep-water formation" Marine Geology , 144, 177-190 (1997). Maslin M.A., and A. Berger "A European view of the future of palaeoclimate research" QSR, 16, 501-504 (1997). Maslin M.A. and N. Mikkelsen "The mass-transport deposits and interglacial sediments of the Amazon Fan: Age estimates and Fan dynamics" ODP Leg 155 Scientific Results Volume, 353-366 (1997). Maslin M.A., S. Burns, H. Erlenkeuser and C. Hohnemann "Stable isotope records from ODP Sites 932 and 933 ODP Leg 155 Scientific Results Volume, 305-318 (1997). Vilela, C. and M.A. Maslin "Benthic and planktonic foraminifera assemblage and stable isotope results from the mass-flow sediments in the Amazon Fan" ODP Leg 155 Scientific Results Volume, 335-352 (1997). Showers, W., R. Schneider, N. Mikkelsen, and M.A. Maslin. "Isotope Stratigraphy of Amazon Fan Sediments" ODP Leg 155 Scientific Results Volume, 281-304 (1997). David J.W. Piper, Roger D. Flood, Stan Cisowski, Frank Hall, Patricia L. Manley, M.A. Maslin, Naja Mikkelsen, Carlos Pirmez, and William Showers. "Synthesis of Stratigraphic correlations, Amazon Fan. ODP Leg 155 Scientific Results Volume, 595-610 (1997). Mikkelsen, N., M.A. Maslin, J. Giraudeau and W. Showers "Biostratigraphy and sedimentation rates of the Amazon Fan" ODP Leg 155 Scientific Results Volume, 577-594 (1997). Maslin M.A., M.A. Hall, N.J. Shackleton and E. Thomas "Calculating surface water pCO2 from foraminiferal organic d13C" Geochimica Cosmochimica Acta , Vol. 60, No. 24, 5089-5100 (1996). Maslin, M.A., G. Haug, M. Sarnthein and R. Tiedemann. "The progressive intensification of Northern Hemisphere Glaciation as seem from the North Pacific" Geologische Rundschau , 85, 452-465 (1996). Maslin M.A. and C. Tzedakis "Sultry Last Interglacial Gets Sudden Chill" Eos, 77, 37, 353-354 (1996). Maslin, M.A., N.J. Shackleton and U. Pflaumann. "Temperature, salinity and density changes in the Northeast Atlantic during the last 45,000 years: Heinrich events, deep water formation and climatic rebounds" Paleoceanography 10, 527-544 (1995). Dowdeswell, J., M.A. Maslin, J. Andrews and I.N. McCave. "Estimation of the timing of the Heinrich events using realistic calculations of the maximum outflow of icebergs from the Laurentide ice sheet." Geology, 23, No. 4, 301-304 (1995). Maslin, M.A., G. Haug, M. Sarnthein, R. Tiedemann, H. Erlenkeuser and R. Stax. "Northwest Pacific Site 882: The initiation of major Northern Hemisphere Glaciation" ODP Leg 145 Scientific Results Volume, 315-329 (1995). Haug, G., M.A. Maslin, M. Sarnthein, R. Stax and R. Tiedemann. "Evolution of Northwest Pacific sedimentation patterns since 6 Ma: Site 882" ODP Leg 145 Scientific Results Volume, 293-314 (1995). Flood, R., D. Piper, A. Klaus, et al. (including M.A. Maslin) (1995) Proc. ODP, Init. Repts., Leg 155, Amazon Fan: College Station, TX (Ocean Drilling Project), pp. 1231. Randalls S. and M.A. 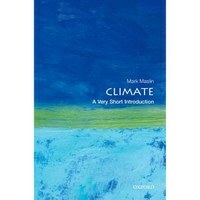 Maslin “Introduction to Volume 4: Framing the debate” In Future Climate Change (4 Vols): Critical Concepts in the Environment edited by Mark Maslin and Samuel Randalls, Routledge, 1-3 (2011). Mark Maslin ‘Chapter 3: How the ice age began’, In The Complete Ice Age: How climate change shaped the world (edited by Brain Fagan), Thames and Hudson, 48-61 (2009). Mark Maslin ‘Chapter 4: The climatic rollercoaster’, In The Complete Ice Age: How climate change shaped the world (edited by Brain Fagan), Thames and Hudson, 62-91 (2009). Mark Maslin ‘Chapter 8 Hot or cold future’, In The Complete Ice Age: How climate change shaped the world (edited by Brain Fagan), Thames and Hudson, 206-231 (2009). Maslin, M.A. “The longevity and resilience of the Amazon Rainforest.” In Y. Mahli and O. Phillips (editors (editors) 'Tropical forests and global atmospheric change' Oxford University Press, Oxford, 167-182 (2005). Cowling, S., R.A. Betts, P.M. Cox, V.J. Ettwein, C.D. Jones, M.A. Maslin and S. Spall “Modelling the Past and Future fate of the Amazonian Rainforest” In Tropical forests and global atmospheric change, (editors Y. Mahli and O. Phillips) Oxford University Press, Oxford, 191-198 (2005). Maslin, M.A., J. Pike, C. Stickley, and V. Ettwein “Chapter 14. Evidence of Holocene climate variability from marine sediments” In Global Change in the Holocene (Ed: A. Mackay, R. Battarbee, J. Birks and F. Oldfield) John Wiley, p185-209 (2003). Maslin, M.A., C. Stickley, and V. Ettwein “Paleo-oceanography: Holocene Climate variability” In Encyclopedia of Ocean Sciences (Ed: John Steele, Stephen Thorpe and Karl Turekian) Academic Press, p1210-1217 (2001). McGuire, B., R. Betts, C. Kilburn, M. Maslin, D. Pyle, J. Smellie and D. Tappin (editors) “Climate forcing of geological and geomorphological hazards”. Philosophical Transactions of the Royal Society A, volume 368, 1919 (2010). Mark Maslin (2003) Etat d'urgence: Le ciel en colère (Paperback) p146. 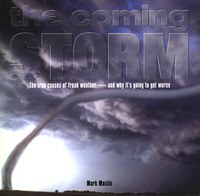 Mark Maslin (2002) Stormy Weather, Apple, ISBN 1-84092-378-4, p144. Mark Maslin (2002) The Coming Storm, Barron’s, ISBN 0-7641-2219-3, p139. Mark Maslin, Earthquakes (a volume for 8-12 year olds), p49, Weyland, Hove, UK., Hardback (ISBN 0 7502 2472 X) 1999, Paperback (ISBN 0 7502 2738 9) 2000. Mark Maslin, Storms (a volume for 8-12 year olds), p49, Weyland, Hove, UK. Hardback (ISBN 0 7502 2474 6) 1999, Paperback (ISBN 0 7502 2740 0) 2000. Emma Durham and Mark Maslin, Floods, p49, Weyland, Hove, UK., Hardback (ISBN 0 7502 2473 8) 1999, Paperback (ISBN 0 7502 2739 7) 2000. January commented on World Meteorological Organization, announcement that 2016 was the hottest year on record included in BBC web site, The Times, FT, Mail Online with Reuters and El País. March - Press Coverage of Nature Climate Change paper ‘Adaptation responses to climate change differ between global megacities’ including Wall Street Journal, LA Times, Mashable, The Atlantic’s City Lab, El País, Grist, Mother Jones, Carbon Brief, Reuters, Climate Home, Take Part, Quartz, Phys.org, EcoWatch, EFE News Wire (featured on El Comercio, El Periodico de Mexico and 12 others), El Periodico de Mexico, La Vanguardia, Estonian Public Broadcasting, Swiss Public Radio (interviewed for radio feature), Business Green, GreenBiz, EcoBusiness, Climate Change News, Sci Tech Today, Yahoo! News, EconoTimes, SciBlogs.co.nz, Xinhua Net, Il Sole 24 Ore, O Eco, Observátorio do Clima, Internazionale, Philanthropy News Digest, EurActiv.fr, EurActiv.com, AllNews24.eu, El Mundo (Costa Rica), Apple Daily (Taiwan), ZME Science and Front Page of Reddit. March - Quoted in The Times, The Independent, The Guardian, The Daily Telegraph, Daily Mail, Independent I, LA Times, Forbes, New Yorker, Bloomberg, MotherBoard, on Lewis and Maslin paper on the Anthropocene in Nature. 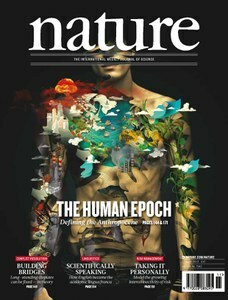 March - Interviewed by the BBC World News, BBC Radio Scotland and BBC World Service on our paper on the Anthropocene in Nature. September - Interviewed and quoted on the release of the IPCC 5th Assessment Science Report through the Science Media Centre, London. June - Maslin Nature paper reported and discussed in The Times. 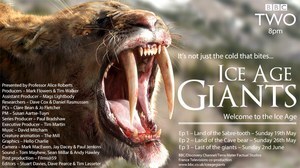 Feb to August - Consultant for the BBC Ice Age series. Dec - Interview on BBC World and Good morning America regarding negotiations in Cancun. Nov -The Times – quoted in response to the data released by the Met Office and WMO on the hottest decade ever recorded. June -BBC News 24, BBC News and BBC Newsround – commented on the launch of the latest UKCIP web site and report on future of UK climate. May - Launch of the UCL-Lancet Report on Managing the Health effects of climate change covered by Sky News, Channel 4 News, Press Association, BBC Radio 4, BBC World Service, Guardian, -Daily Mail, The Mirror, The Scotsman, The Daily Telegraph, BBC News Online, New Scientist, -Guardian, Times, City Talk. April - BBC Radio Gloucestershire – commented on Corporate social responsibility and climate change. Oct - Sky News – commented on Climate Change Committee 80% reduction target by 2050. July - BBC World Service, News Hour – comments on Al Gore’s vision of US getting all its electricity from renewable or clean sources in 10 years time. June - BBC Radio 4, The Today Programme – comments on the new idea by Prof. Wally Broecker of artificial trees to remove carbon dioxide from the atmosphere. Feb - BBC News at 10 o’clock – comments on the effects of future heat waves on Britain. 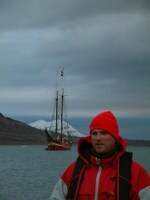 December - Channel 4: T4 Global Warming program which featured the Cape Farewell Youth Expedition and Prof. Mark Maslin. May - BBC Wales – reviewed and commented on the environmental policies of the four main political parties in the Welsh Assembly election. April -Timeteam Special, Britain’s Drowned World, Channel 4. 24th April 2007. Commented on past and future climate change in the British isles. March - Newsnight Commented on the Government latest pledge to cut carbon emissions by 60% by 2020. March - Dispatches ‘Greenwash’ Channel 4, provided the detailed audit of Government policies to cut carbon emissions by 2020 and was interviewed to present the findings. January - Sky News Green Britain week, 12/1/07 summed up achievements of the week. January - Channel 5 News, 12/1/07 discussed global warming and the achievements of Green Britain week. Mark Maslin ‘The Great mystery of big brains has now been solved’ The Times, Eureka magazine, Issue 33, pages 20-25 (June 2012). Mark Maslin I love it when it snows in England The Times, science blog (Dec 2010). Martin Trauth, M., M.A. Maslin, A. Deino, M. Strecker, “A better climate for human evolution” PAGES News Vol 14, No 2, August (2006). Mark Maslin "Living on the edge" (Mark Maslin on the stark choices ahead as the world's ice sheets start to melt) Guardian, 9/5 Online Science section page 12 (2002). Mark Maslin "Iceberg Armadas invading the North Atlantic: lessons on rapid global climate change from the past" Science Spectra (2000). Mark Maslin and Anson Mackay "Mudding the waters" (Is the largest body of freshwater in the world [Lake Baikal] dying from man made pollution? Mark Maslin challenges the environmentalists) Guardian, 7/1 Online Science section page 8 (1999). Mark Maslin "Weight and Sea" (Millions of lives in Bangladesh have been devastated after repeated attempts to contain flooding. But subsidence means even worse is to come is effective action is not taken) Guardian, 23/9 Society section pages 4-5 (1998). Mark Maslin "Why study past climates in marine sediments" The Globe, Issue 41 (1998). Mark Maslin "Wave after wave" (Hurricane Georges and El Niño are not flukes of nature, argues Mark Maslin. They are symptoms of rapid climate - and there are more storms to come) Guardian, 7/10 Society section page 5 (1998). Maslin M.A. "A European view of the future of palaeoclimate research" Ocean Challenge, Vol. 7, No. 1, 32-33 (1997). Mark Maslin "Sultry last interglacial gets a sudden chill" Earth in Space (For Teachers and Students of Science), March, 12-14 (1997). Maslin M.A. "Rift where humans began", New Scientist, (4th June 1994) 142:24-27. Maslin M.A. "Waiting for the Polar meltdown" New Scientist, (4th Sept 1993), 139:36-41.
in Harwell, Oxfordshire. Rezatec aims to solve global business problems concerning the environment through scientific analysis of satellite and ground data. Rezatec Earth Information Products and Analytics support complex business decision-making for organisations across many different markets from financial services to energy, from agribusiness to forest management and the REDD+ agenda. 1. Cost effective solutions: Rezatec brings down the cost of collecting, converting, assimilating, analyzing earth observation and ground data. 2. Big Data analysis: Rezatec is tackling the challenges of collecting, converting, storing, cataloguing, sharing, analyzing and visualizing big data. 3. Scientific validation: Rezatec uses cutting edge science which has been independently verified as the bases of all its data products and services reducing of error and uncertainty. Rezatec’s unique strength lies in its ability to aggregate large amounts of diverse data from satellite, airborne and ground instruments as the basis for advanced predictive analysis. This analysis uses different ecosystem models and statistical techniques to create each data product. performing the predictive statistical analysis. Rezatec Ltd is currently funded by ISIC, European Space Agency, Technology Strategy Board, Royal Society and Climate KIC and has a large diverse portfolio of clients. 1005 Environmental Change - introductory course which covers Earth History (Big Bang - Plate Tectonics - Evolution - Glaciation - Human impact- Acid rain - pollution - Global warming). 2005 Matthew Owen (self funded) Gas hydrates, submarine slope failure and tsunami hazard. 2004 Jan Corfee-Morlot (OECD) Understand climate change policy links between local and national level. 2003 George Swan (NERC funded) Climate reconstruction using diatom silica and oxygen stable isotopes. 2001 Chris Boot (NERC funded, second supervisor Dr R. Pancost, Bristol University) completed. 2002 Simon Dension (MSc): Terrestrial biomarkers in deep-sea sediment ODP Leg 175, Site 1083. 2000. Edward Hodges (MSc) Distinction Eemian climate variability using speleothems. 1998 Susan Grieg (MSc): Reconstruction of the outflow of the Amazon River over the last 40 ka. Click here to view photos and videos from the 2019, 2018 and 2017 Lesbos fieldtrips.